All three contenders provide that typical penthouse view of the road SUV fans crave. However, the Land Rover Discovery Sport has the best all-round driving position thanks to its comfortable, fully electric seats and a liberal amount of height and reach steering wheel adjustment. The BMW X3 and Jaguar F-Pace make do with manually adjusting seats (the X3’s are more fiddly to fine tune but hold you in place better through bends), and neither gets adjustable lumbar support. This important feature is standard on the Discovery. Jump behind the wheel of any of these SUVs and you’re unlikely to be blown away by the quality of materials that surround you. 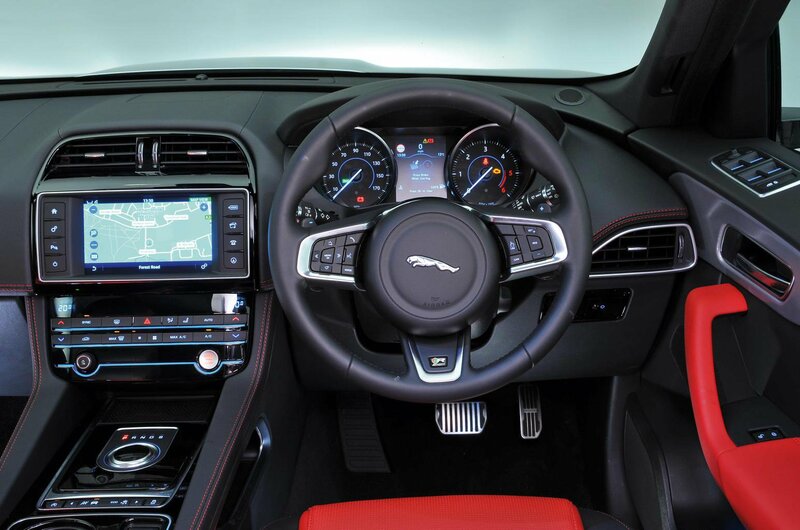 The F-Pace is the most eye-catching; its leather-wrapped, red-stitched dash and two-tone leather seats make it feel more like a sports car than a family 4x4. It’s just a pity the speedo cover is flimsy and the steering wheel buttons feel a bit low-rent. The X3 and Discovery Sport are more conservatively styled but do a better job of keeping unappealing plastics tucked out of view. 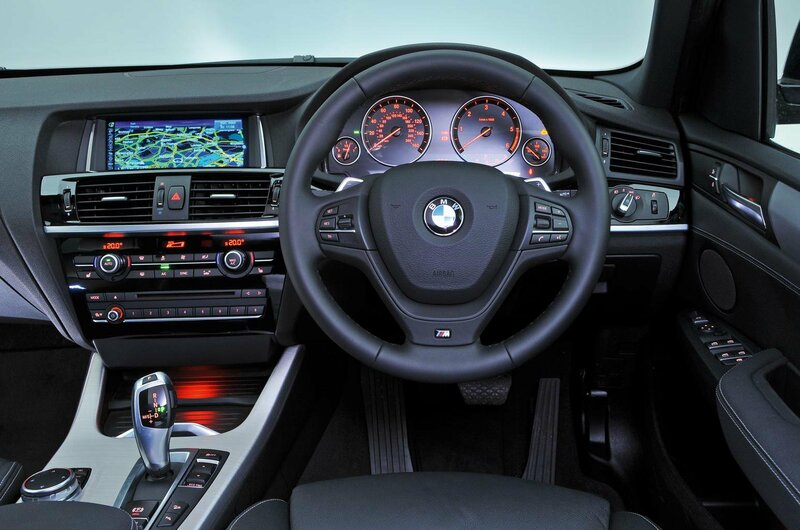 The X3 is marginally the classiest, with the tightest and most consistent gaps between its dashboard panels, and the most robust-feeling switches. 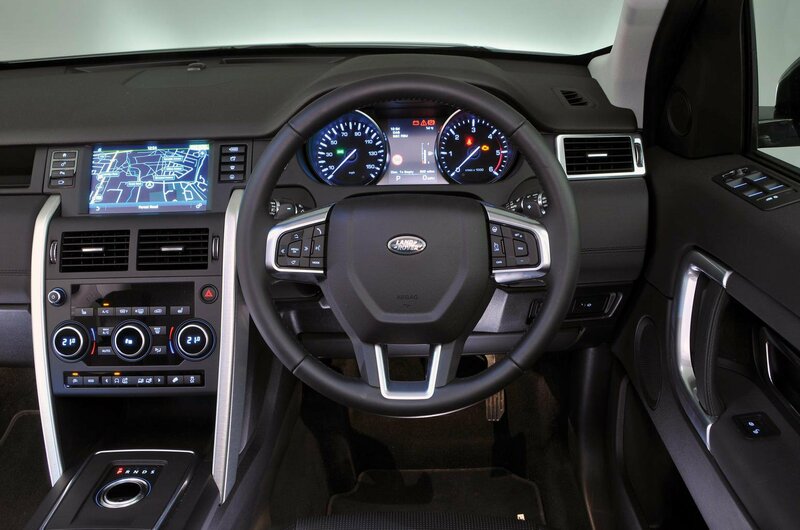 Practicality is key for many SUV buyers and here the Discovery Sport has a clear edge. It’s the only one that can carry seven people, for starters, and its second row seats slide back and forth and recline. Reclining rear seats are a £150 option on the F-Pace, but neither it nor the X3 are available with sliding rear seats. However, two six-footers will be cheery enough in the back of any of our cars. Anyone taller will notice their hair brushing the F-Pace’s ceiling, while the Discovery Sport’s best-in-test rear leg room will be popular with lanky teenagers. Getting into the Discovery Sport’s third row means clambering through a gap tight enough to appeal to potholers, and once seated you won’t be comfortable for long unless you’re at primary school. Nevertheless, the extra two seats are a big bonus and even adults won’t complain too loudly about using them on short trips. Fold the Discovery Sport’s third row of seats into the floor and you’re left with a square luggage area that’s big enough for most families’ needs. 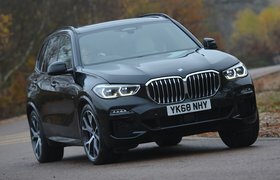 The boots in the X3 and F-Pace aren’t quite as uniformly shaped – they’re wider at the very back but become narrower towards the rear seats – although they are similar in size, despite the wildly varying official boot capacities supplied by the manufacturers.